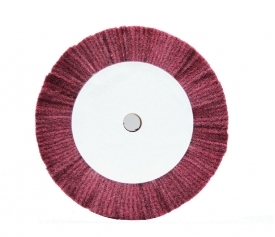 Non-woven series - Changzhou Glory Industries Co., Ltd.
Non-woven flap brush, with syntetic fiber lamellae uniformly coated with abrasive grains of Aluminium Oxide or Silicon Carbide bonded with resins, radially disposed around a fiber center. Thickness 50, 100 or 150 mm. 19mm hole is key-shaped. 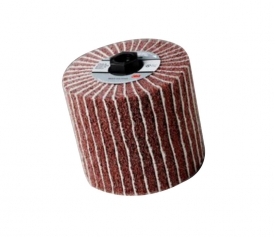 Combi flap brush, with syntetic fiber lamellae uniformly coated with abrasive grains of Aluminium Oxide or Silicon Carbide bonded with resins, alternate with abrasive cloth lamellae and radially disposed around a fiber center. Thickness 50, 100 or 150 mm. 19mm hole is key-shaped. 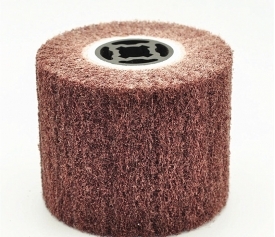 Available with nonwoven material in grits A/Medium and A/Fine and with abrasive cloth in grits P60, P80, P120, P180, P240. etc..